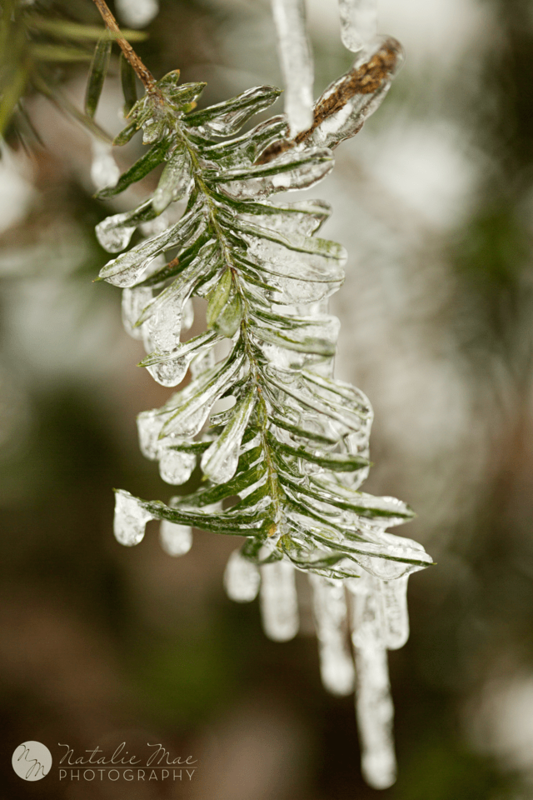 Despite their danger, I love ice storms and the transformation that takes place on the world. There’s just something about the trees and bushes covered in a layer of ice that fascinates me. Winter seems like it’s never going to end this year (southeast Michigan has had record breaking snowfall totals of roughly 70″), so I decided to make the best of it and photograph the beauty of the season. I love the struggle presented between the lush plant and the ice that’s suffocating the plant in its grasp. 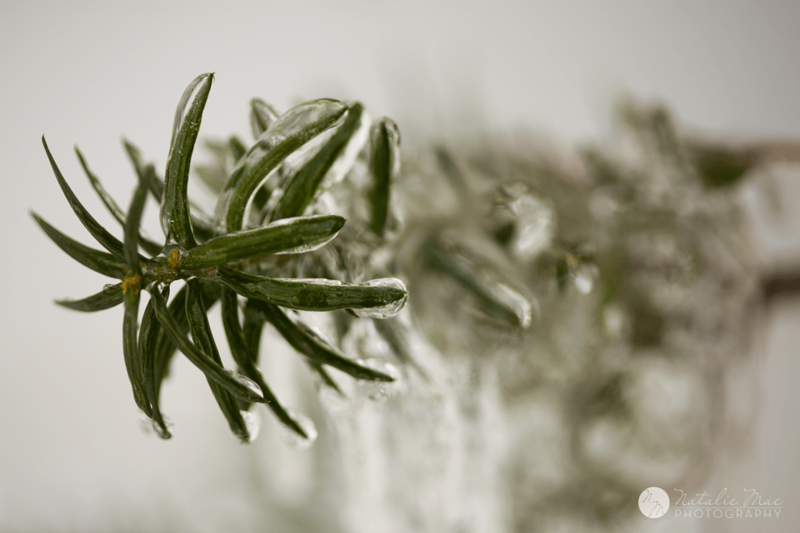 Yet, the irony that the plant requires the ice it’s covered in to survive. All too often I get asked, “What should we wear for our portraits?” Well, I’ve put together this handy little What to Wear Guide based off of Pantone’s 2014 Color of the Year – Radiant Orchid. 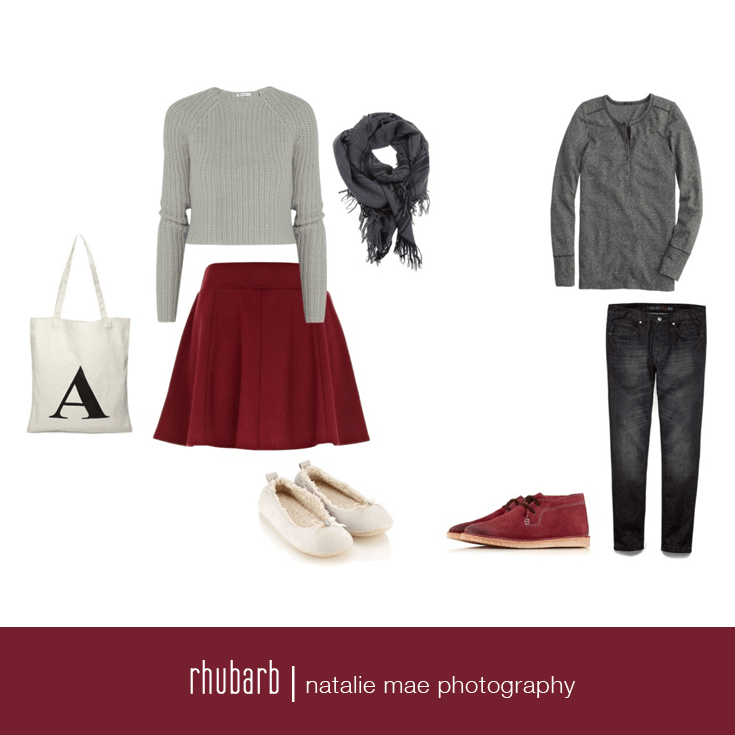 There’s an outfit and color to fit any time of the year. And my favorite part about these is that they show head to toe how to design an overall look. Think of these as jumping off points, you could design outfits for the whole family; or pair two colors together and add some variety to the mix. If you still need help choosing what to wear give me a shout, we can set up an outfit consultation and I can help you shop for the perfect look. 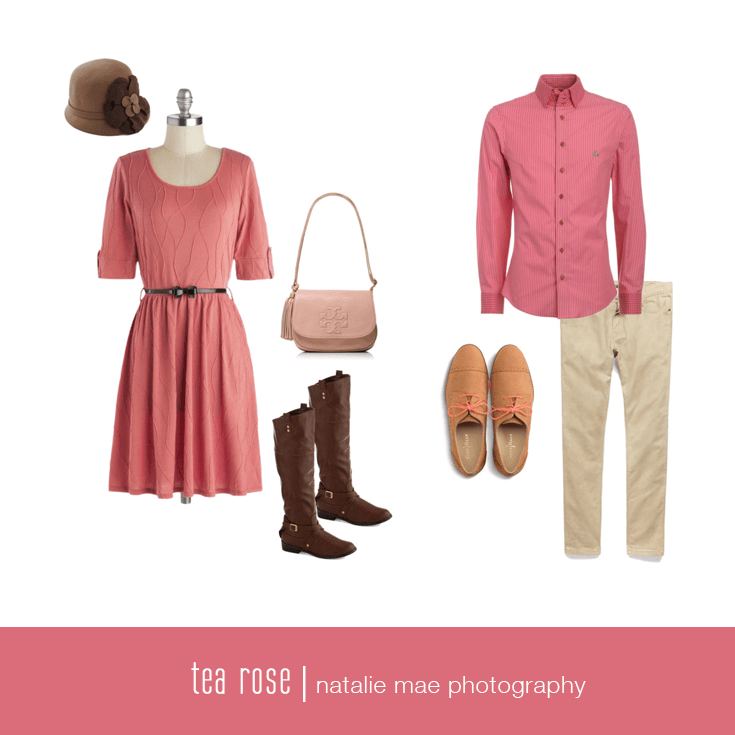 Blushing shades of dusty pink and mauve are uppity and oh-so-cute against the moody grey skies of the cooler season. Leather footwear and chocolate accents ground the brighter pinks while adding natural textures to the overall look. A lovely set of outfits perfect either in our out from under the umbrella! 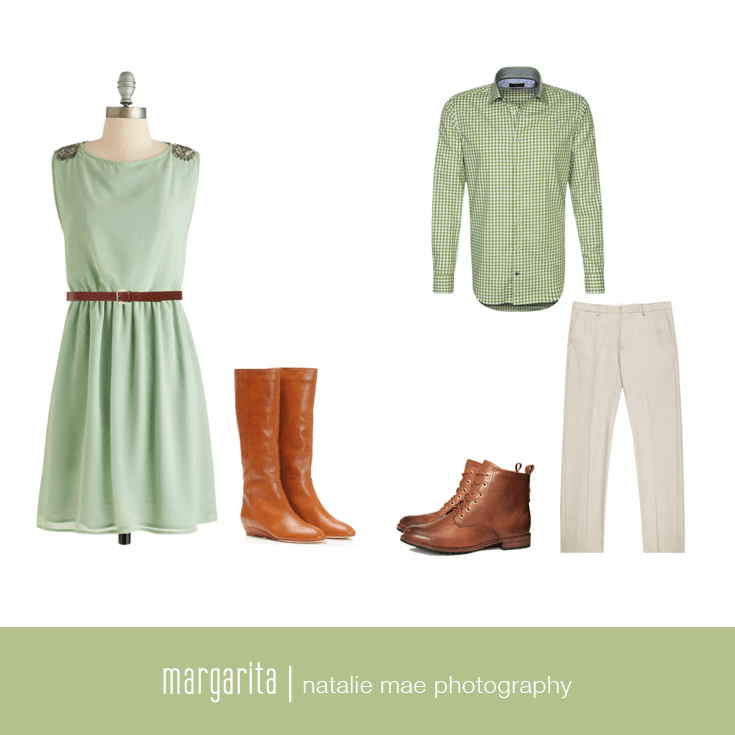 Margarita is a soft sage green that reminds us Spring is somewhere around the corner, but not quite here yet! This hue is innocent and graceful, and can be worn as an accent color or as the main piece. Leather shoes and accessories look fantastic alongside this tone. Brighter than the other blues in this collection, Cascade is optimistic and playful. Soft sand tones as accents allow this special blue to shine. 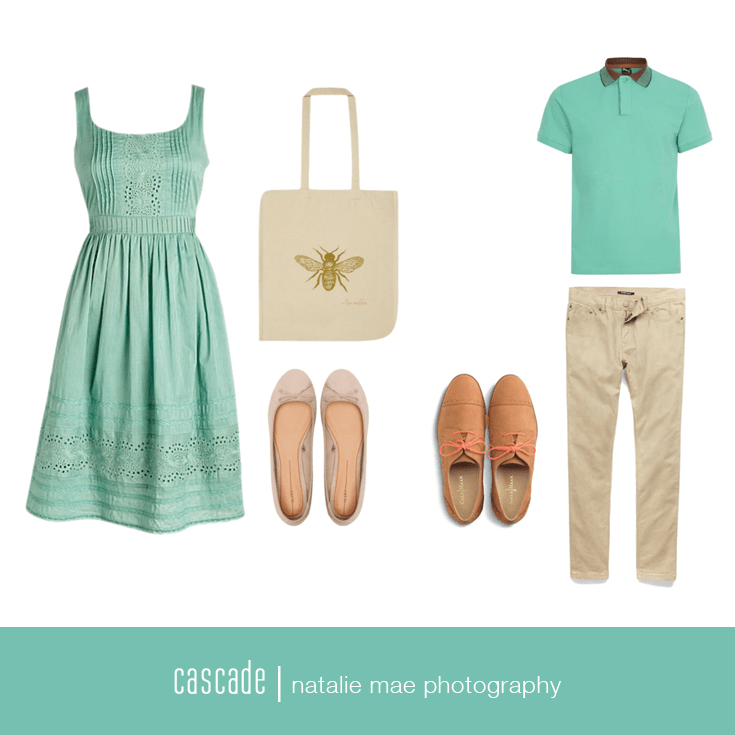 Cascade is another wonderful choice for those who aren’t quite sure what color would look best; it won’t let you down! A perfect color to wear for the camera. This special gray-blue is introverted and complementary to just about anyone lucky enough to be wearing it! Whites and grays are ideal companions to create a complete look. 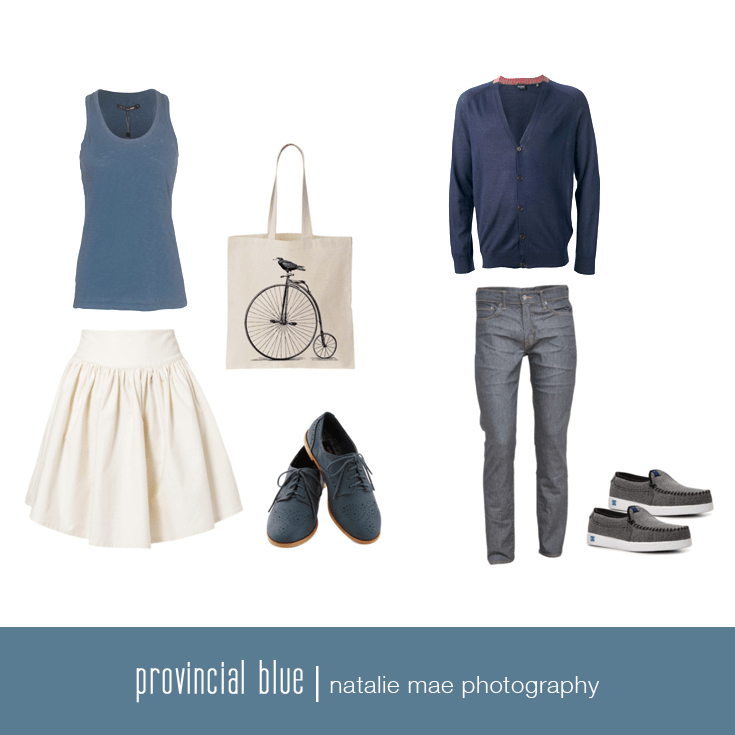 Lovely to look at on camera and versatile for indoors, outdoors, urban, or out in nature, Provincial Blue is a great, low-choice for anyone putting together their outfit. Warm, comfortable, subtle sheepskin evokes the best part of cooler weather. 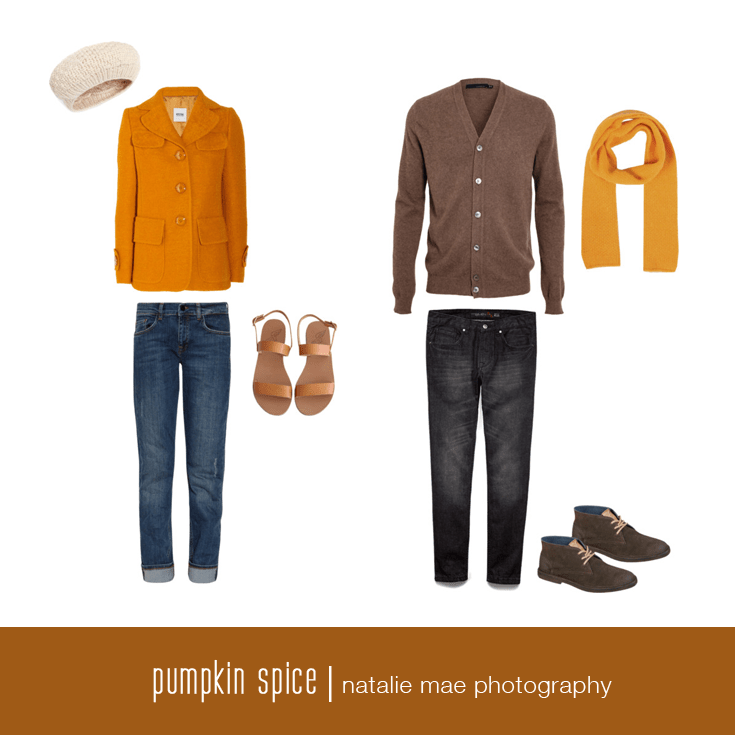 Incorporating sand tones into your wardrobe adds a calming, natural touch. 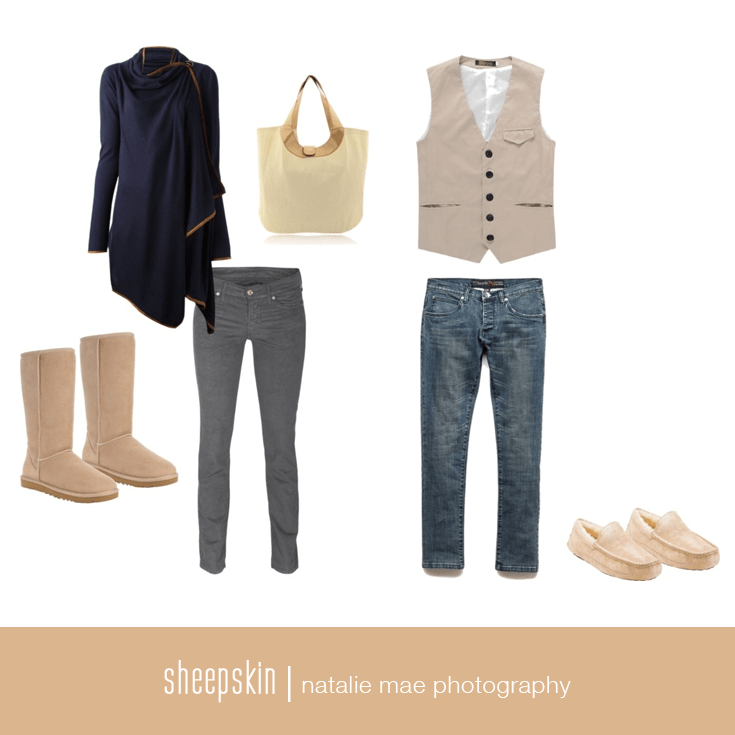 Sheepskin accents like boots and slippers provide wonderful texture to your images and keep your toes toasty! What a deliciously exciting color to spice up your photographs! Done properly, this oh-so-Autumn tone could turn your photographs into something your friends will envy for years to come. Try using this spicy hue as an accent color, or if it’s a main piece like a top or jacket, make sure the rest of what you’re wearing is dark and subtle. The yellow-orange will pop on camera and look amazing. Rich rhubarb red is ready for Fall or Winter with its deep, complex tone that commands attention. This festive color is so powerful even a small accent of it, like a pair of shoes or wool scarf, is enough to add a touch of vibrant color to the dullest of outfits and backgrounds. Don’t overdo it, though too much can also overpower your skin tones! leaves. It also looks fabulous on just about everybody, making it a wonderful choice as the star of your outfit. Emerald Green is the Pantone color of the year for 2013, but there are plenty of other colors that are trending for the Spring. 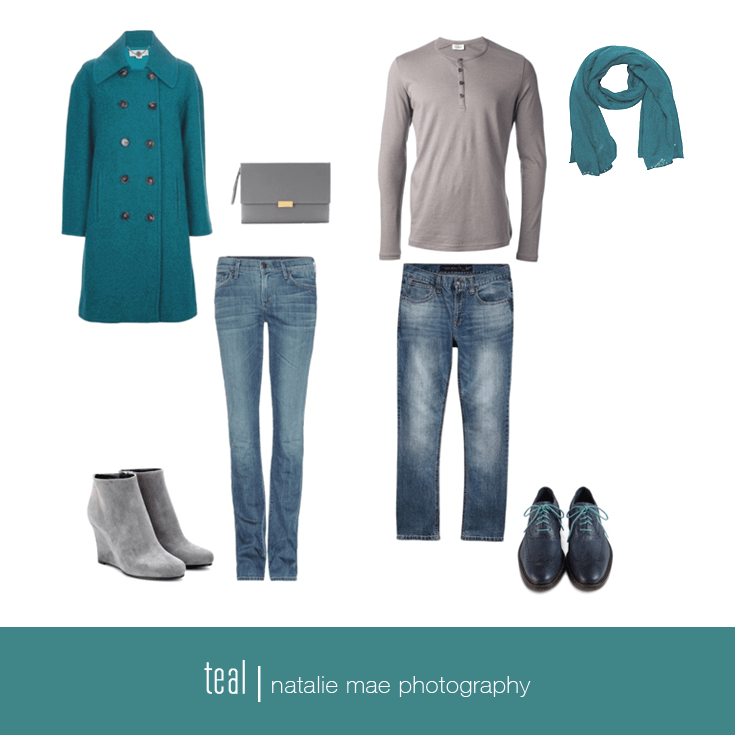 Here’s a few hues that might inspire your own outfits for your portraits. It’s been awhile since I posted anything for the men to wear, so I figure it’s about time. This look would be great for ANY portrait session. Dress up senior portraits, look sophisticated in your engagement images, or just be the stud in the family.